Seclusion G2 Relocatable Hub – 4 Power plus Data Options features a telecom plate and additional USB charging. USB-C, HDMI, RJ45 and other data ports available at your fingertips with multiple convenient mounting options. Enjoy free shipping on all finishes to finalize your workstation, office space, or classroom. 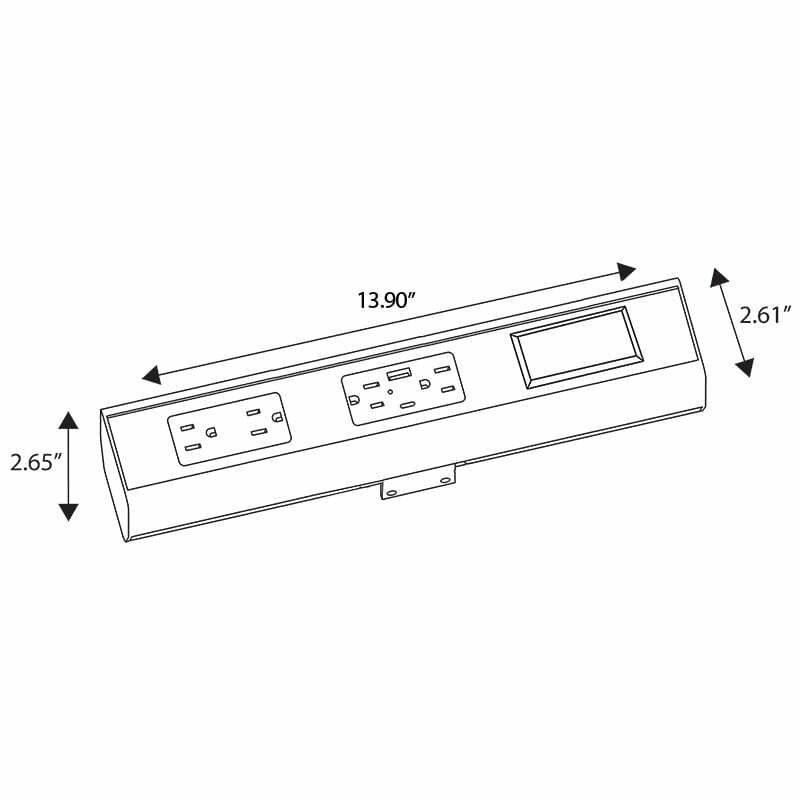 Bracket mount fits table thickness .75" - 1.75"
Clamp mount fits table thickness .50" - 2"
Grommet mount fits table thickness 1", openings 2" - 3.15"
Seclusion G2 Relocatable Hub – 4 Power plus Data Options features a telecom plate and additional USB charging. USB-C, HDMI, RJ45 and other data ports available at your fingertips with multiple convenient mounting options. Enjoy free shipping on all finishes to finalize your classroom, office space, or workstation.